Luke I'll want a pneu trigger just in case... Should I buy now or will they be around for a while? Now or later is fine, but they are currently discounted. Even though its more of a "first come, first serve", can I request #13 (unless anyone else minds or wants this). SWEEEEET! So... "Thanks & No Thanks! ", I guess, lol. So are the grip panels same as the previous ones dimension-wise? So are the grip panels same as the previous ones dimension-wise? Yes, the old panels can be used on the Z2. Thanks for making this Z2 run Luke! 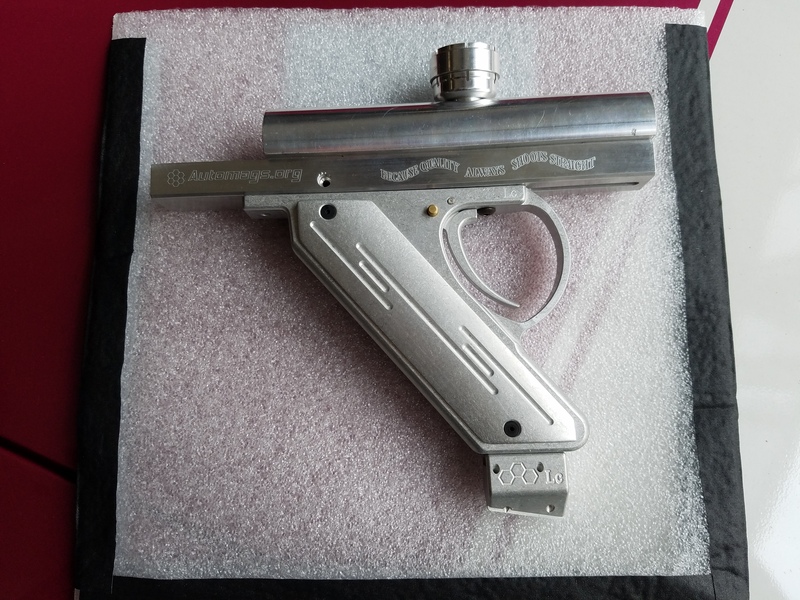 Can't wait to finish my build - a Pewter X is coming then hopefully get the Slug milled. This is your last chance to get free grooved grip panels. After Wednesday 6/13/18 there will be a setup and machining charge for grooved grip panels. Grooved panels will NOT be a stock item. Walking Stick, keep us updated on that build, can't wait to see it done. My goal is to have all paid orders in the hands of customers on or before this Saturday. #5 just showed up in the mail. The Z2 Project is completed as of today. Don't know if this will be the final form, but it's comfy. Looks sweet Allen, what are your plans for ano? We should probably machine the lower corner off the FG shroud. Holycow bowcycle! That would turn some heads at the field. I’ve got some loose plans for ano. But you’re right about the forgrip shroud. We’re gonna shape it for its new frame and rail. Just a reminder, today is the last day for free groove milling on grips..
Frames are now available direct from my website. Have you guys shot the pneumag frame yet? LOL, I'm guessing that is a 'yes'. I got in several games last night with mine, got lots of questions. Worked great. My other mag has been a nightmare, felt good to have this one go together without a problem. Yes, I would like groved panels. Check your PM's so we can finalize your invoice.